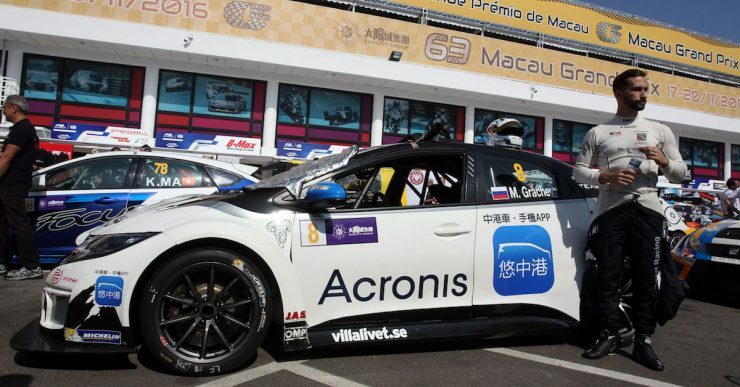 For the second time this season, Acronis is supporting the TCR International Series’ driver Mikhail Grachev, who is racing for WestCoast in Macau this weekend. 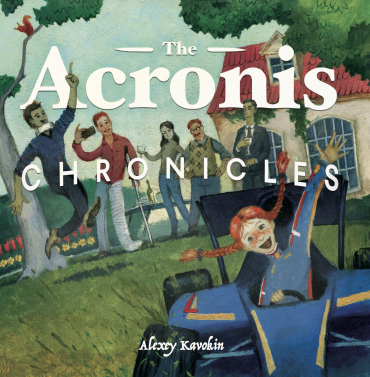 We asked Mikhail what he thinks about the race and partnership with Acronis. Mikhail, could you give us some insight into the last race in Malaysia, and what are your plans for Macau? I qualified 3rd in Malaysia but we had some issues during the final race. The problem was that we made some mistakes in the car setup and my car wasn’t right for the changed conditions on the track. It affected my chances finishing the race. TCR International Series was a supporting race for the Malaysian Formula 1 Grand Prix. Racing sessions between our races affected the track conditions. The grip changed, and my car wasn’t prepared for it. Another problem was with the car itself. During the first two races, I had a light collision with another vehicle – the car was damaged, which affected my speed. As for Macau, it should be a different story. Our engineers spent a lot of time analyzing data from the Malaysian race. They’ll make sure the car is ready for the race. So, what happens between the races? Does the car go back to WestCoast’s garage in Sweden to be prepared for the next race? No. Despite the long period between the races, the car doesn’t go back to our garage. It’s loaded into a container and sent directly to the next location. But we always have the data. We analyze the data and look for the best future solutions. 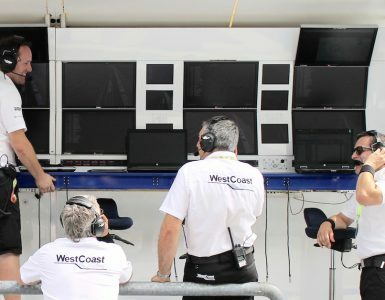 For example, once understood what had actually happened in Malaysia, WestCoast mechanics travelled to Macau early and made changes to the car, preparing it for the next race. Tell us more about Macau. It’s obviously very different from Sepang. Macau is a street circuit, it is very narrow in some places and it has a lot of character. Macau is the Asian Las Vegas, there are a lot of casinos, and a lot of people go there to spend money and just to have fun. The character of the race is the same – it’s a show people like to watch. The circuit it 6.1km long, it’s very fast and it has a number of blind corners. There is one place that has a permanent yellow flag. That part of the track is so narrow, there is not enough room for two cars, so you can’t overtake at all. Having said that, this is a great track to compete on, and it has a very rich history. Last time I took the 3rd place in the final race. It was really good, and I’m hoping at least do the same this year. So what is your strategy for this year? To be honest, this year’s strategy is the same s last year: simply do not crash! We’ve analyzed a lot of data, so I have a great understanding of where I can push a little harder and get some extra speed. Also, I had several months to improve my driving too, so hopefully we’ll see better lap time this year. This is the second race with Acronis sponsorship. What value do you see from this partnership? 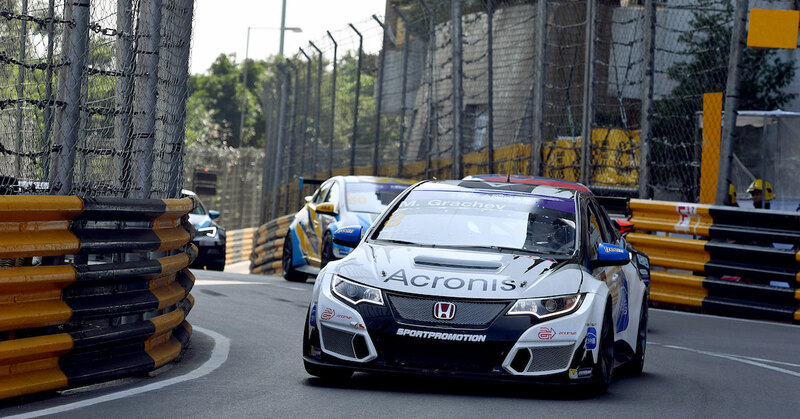 First, I’d like to express my gratitude to Acronis for all the support that I received in Malaysia and here in Macau. The weekend that we had together in Malaysia was very productive. We’ve met with Acronis partners and spoke a lot about the importance of data in racing. This weekend I’m hoping to achieve better results on the track. We’re all here for the race and it’s going to be a great show. I’m also looking forward to meeting local Acronis partners here too. For me, Acronis is the perfect partner. Only two months ago I thought my season was over. I’m really grateful that Acronis decided to support me. 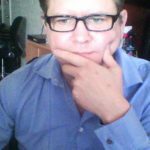 I think together we can earn more points and get amazing results. What are your plans for the next season? Honestly, I haven’t thought about it yet. I’m fully concentrating on the current race in Macau right now! Of course, I’d like to stay in the TCR International Series next season and continue racing for WestCoast. The goal is to be more consistent. This season I won 4 races. Next season, we’ll be aiming at winning the championship. But let’s talk after the race in Macau.